Vintage style leaf bridal headband. 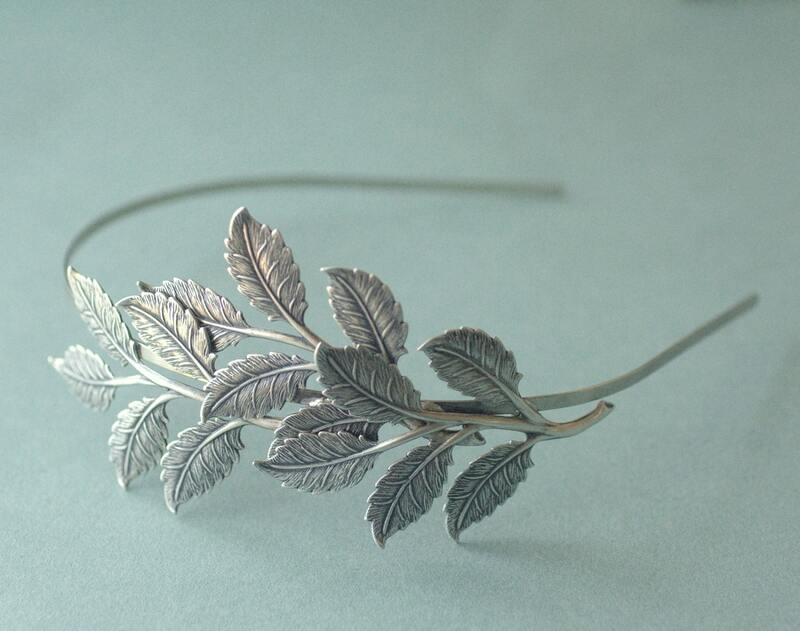 Antiqued silver finish leaves adorn one side of the headband. The leaves have been securely torch soldered, not glued. This gorgeous headband took ages to arrive (granted, I do live in Australia) but was so worth the wait. This is a quality handmade piece and the details on the leaves are so much nicer in person. This is such an elegant piece and I couldn't be happier with it! Also the amazing seller threw in a little gift which was an awesome surprise and I'm loving the gift too (it was a lily hairclip!). TLDR seller is awesome and items are so worth.